Cybersecurity company Kaspersky Lab unveiled Polys, a secure online voting system based on blockchain technology and backed with transparent crypto algorithms, at the company’s annual Cybersecurity Weekend event in Dublin. “In our Kaspersky Lab Business Incubator we’re supporting both internal and external teams in developing bright ideas and technologies, which can be implemented in various areas where safety and security are important,” said Vartan Minasyan, Head of Investment and Innovation at Kaspersky Lab. At the moment, Polys offers a free web-based dashboard to create an online vote with two options: majority vote, in which the option that gets the majority of votes wins, and cumulative vote, in which the voter has multiple votes that can be given to a single option or divided among several options. Cumulative voting is often used, for example, for committee elections where voters can support more than one candidate. Once a vote has been created on the Polys dashboard, the administrators can choose how to accept votes. Currently supported options are email, unique codes, and public voting. In email voting, Polys sends an email to each voter with a secure voting link. In public voting, the voting link is open to everyone who can view it. A combination of online and offline voting can be implemented with secure codes, generated by Polys and sent to users in electronic or printed format, which enable users to vote using either personal devices or public computers in voting kiosks. 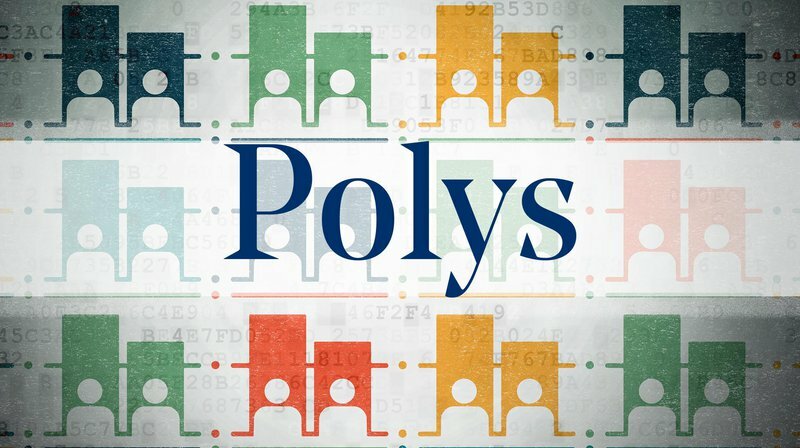 Polys will support a desktop app to create a vote and a mobile app to actually vote. Besides the free dashboard, Polys offers a paid version that supports white-labeling, re-branding and integration options. According to Kaspersky Lab, a robust voting system should ensure voter anonymity, provide protection against trash votes, vote trafficking and voter coercion, and enable voters to check that their votes have been recorded in the blockchain. It’s also important to encrypt the voting results recorded in the blockchain, otherwise intermediate results could become available before voting ends, which is often against the law. For now, votes can’t be changed by Polys or by the voters, but a Polys white paper suggests countering the threats of vote trafficking and coerced voting by enabling voters to change their votes without limitation. The source code of Polys, based on Ethereum smart contracts, will be made available on GitHub. Cybersecurity company Kaspersky Lab is leading Polys’s security development; Parity Technologies, a company specialized in blockchain and peer-to-peer software for the decentralized web, will support the project’s blockchain development. Kaspersky Lab proposes two typical use cases for Polys: early-adopting environments such as universities, where students and faculty will be able to informally vote for classes and student councils, and tech-oriented “future cities” that need new solutions for conducting formal elections with speed, reliability and trust. It seems likely that blockchain-based online voting systems, including but not limited to Polys, will first find operational applications for informal, non-binding consultative voting in academia and similar environments. It’s worth noting that Decentralized Autonomous Organizations (DAOs), which can often be considered as demonstrators of future governance methods, have built-in voting systems based on blockchain technology, often implemented with Ethereum smart contracts. Therefore, it seems plausible that blockchain-based voting could move to the “real” world of cities and governments. Once blockchain-based voting systems are able to demonstrate watertight security, they could address the challenge of counting errors and fraud in elections. It’s also worth noting that, while blockchain voting has its delays and costs, it could be much faster and cheaper than traditional voting systems. Blockchain voting could enable governments to implement direct democracy with frequent consultations on a wide range of political and social issues.